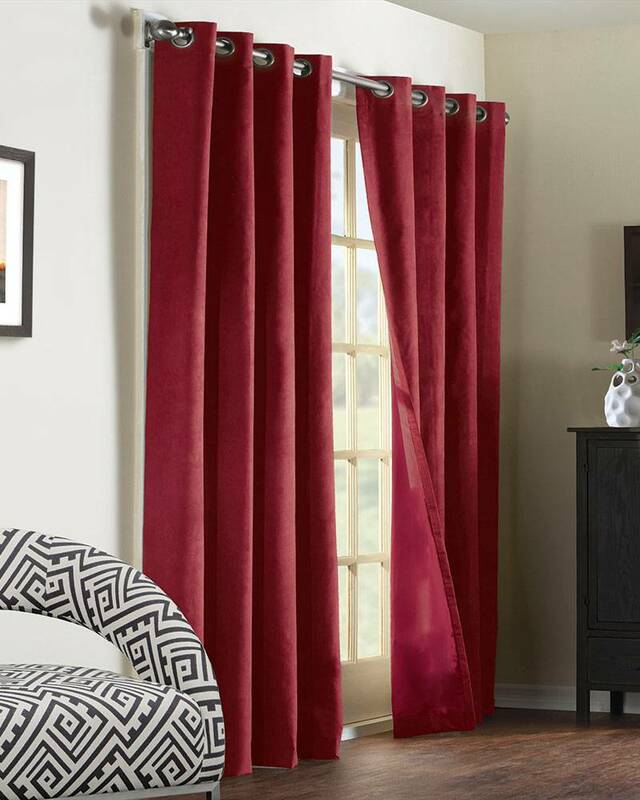 Densely woven and richly colored, these curtain panels masterfully combine style and function. 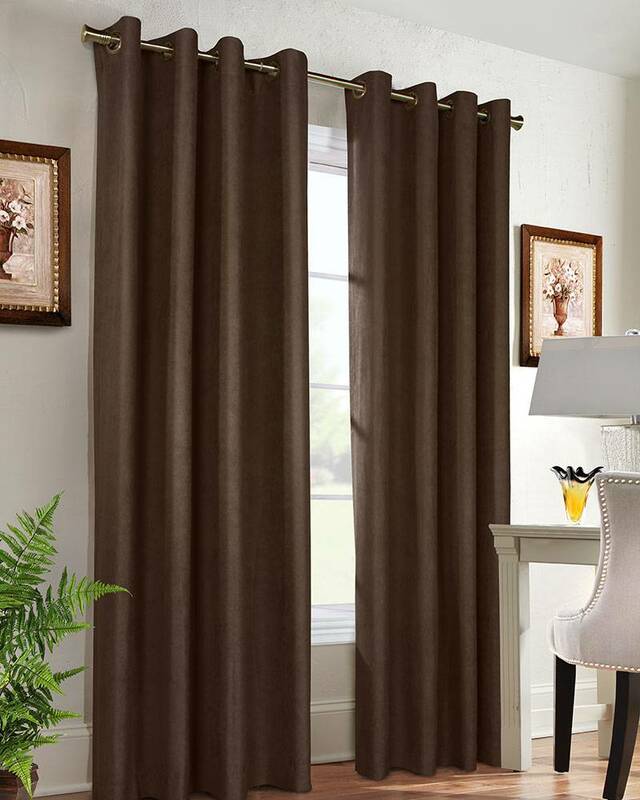 Navar Blackout Grommet Top Curtain Panels feature a tightly woven faux suede fabric with an incredibly soft hand and beautiful drape. 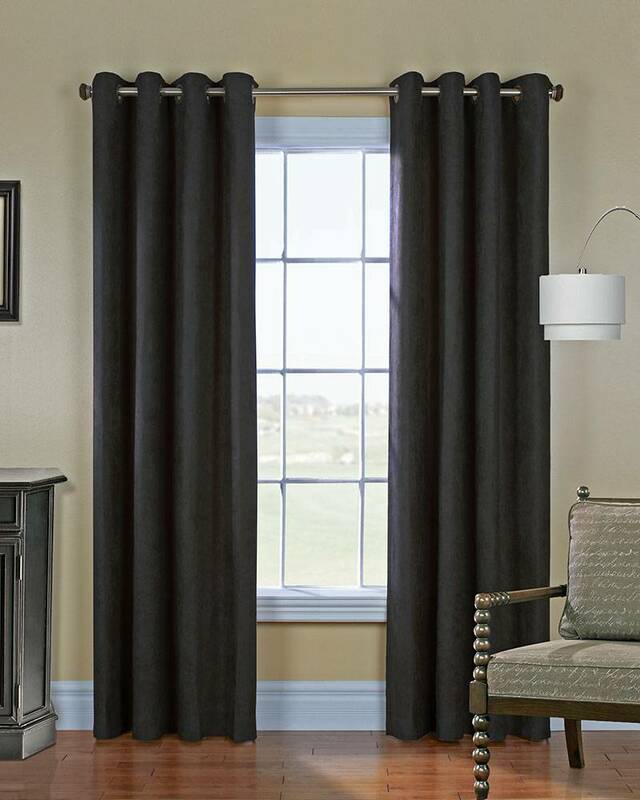 They are also a blackout curtain with 100% light blocking properties, which makes them perfect for media rooms, bedrooms, or any room where privacy and light control are important. As a bonus, these easy care polyester panels have insulating properties which will help keep your home comfortable throughout the year. The grommet top header lends a stylish contemporary feel and makes installation a snap.